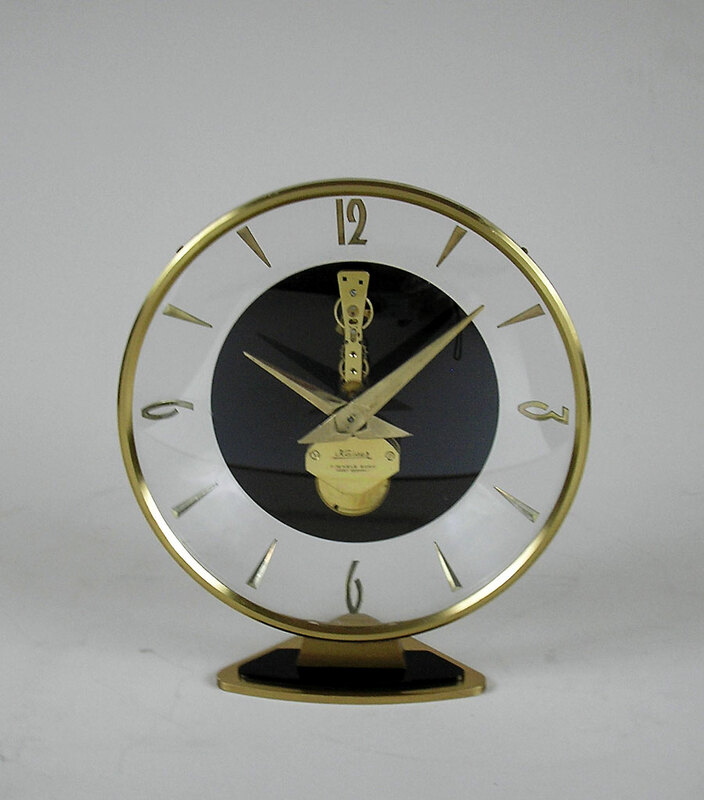 This is a German skeletonised desk clock by Kaiser of Germany in a perspex case. 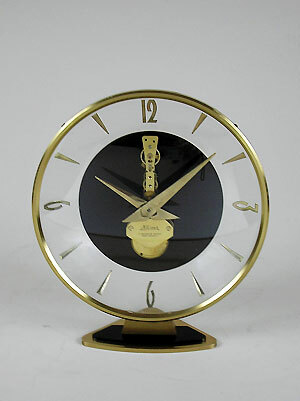 The clock has seven jewels and an eight-day duration. 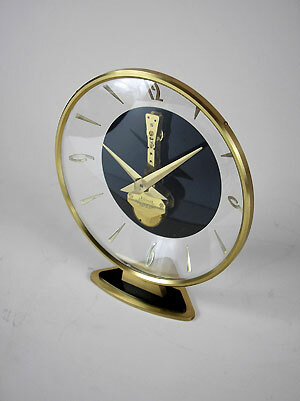 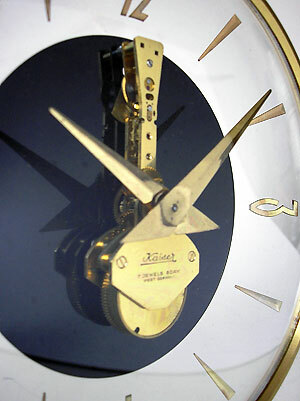 The numerals on the dial are engraved and inlaid with gold.